In mid-August of 2014, the organizers of the 6th Annual Monterey Bay Tequila & Cuisine, which took place on October 11, 2014, graciously asked Tequila Aficionado Media CEO, Mike Morales, to participate as a judge. 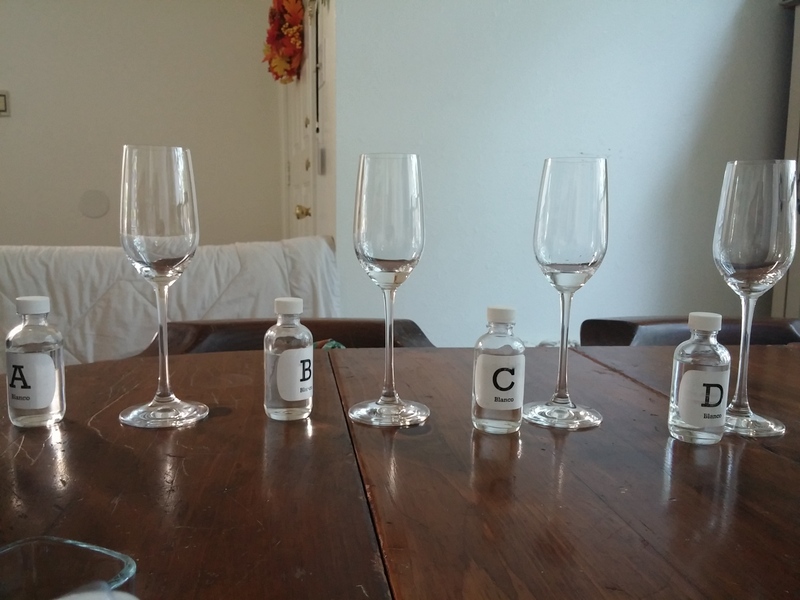 Their unique, take-at-home blind tequila tasting competition used the Tequila Matchmaker smartphone application to score and bestow awards. You can review the results of the tasting competition here. I dreaded tests and pop quizzes in school. I never did well on them no matter how long I studied. The only answer for someone like me to improve his grade was to do extra credit work. Often, that meant the blessing of the occasional take-home test. Who wouldn’t love a Take-Home Tequila Test? The entire text book, notes and other related materials was at my disposal. In addition, the stress of competing against my smarter classmates was lifted, as well as any pressure about time limits. Really, it was a license to cheat! How could I go wrong? That’s why the concept of the take-home cata made the Monterey Bay Tequila & Cuisine’s tasting competition so intriguing for me. aficionados in finding tequilas that are suitable to their taste preferences. It also allows enthusiasts to rate and grade brands on a sliding numerical scale. Grover has introduced Tequila Matchmaker in some of the leading and trending tequila bars in the US. The Monterey Bay Tequila & Cuisine is the first event to exclusively use the Tequila Matchmaker app for its blind tasting competition. In this Facebook interview, Grover shares some of his thoughts on the aftermath of the competition. TA: So…did the results amaze you? GS: Not really. I wish there were more brands involved so we could get a better comparison. Last year, when we announced the results, several brands were in the room. They immediately asked questions about the judges. This gave me the idea to “test” the judges as a way of giving the brands an idea of who they were dealing with. So, duplicating a tequila as a way to “judge the judges” was my answer. A total experiment. Not totally scientific, but definitely interesting. Judging the judges: Not totally scientific, but definitely interesting. TA: Did they know who the judges were this time around? GS: No, we didn’t disclose which judges gave which scores. Also, all of the judges, except for one, did well. TA: Did they know the names of the judges on the roster? Freddy the Cat judging añejos. I would actually like to try an experiment where the same judges rate things at home, and then again, together (like the SOM [Spirits of Mexico competition] format) and then see the differences. GS: I also want to experiment with the order of the selection. We can actually use our app to create a random order for each person, so nobody will have the same [order]. Ready to judge for Monterey Bay Tequila & Cuisine. TA: That would be a cool variable. GS: For me at SOM [Grover was a judge at 2014’s contest], palate fatigue is an issue, so it would be interesting to see if tequilas at the end of the line tend to do better. I am fascinated by blind ratings, so I’m having a blast trying all these new experiments. I’ve got 99 problems but Tequila palate fatigue isn’t one! 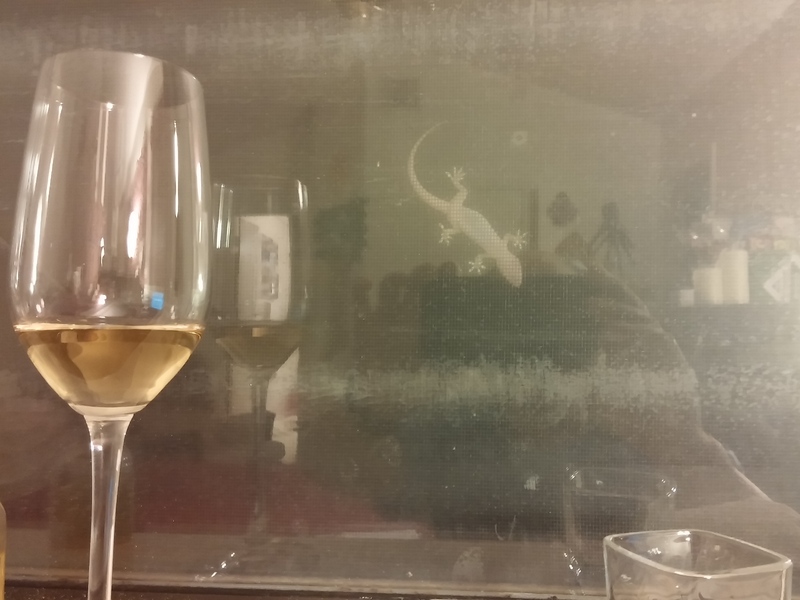 GS: In our blind tasting tour, we found just the opposite. The tequilas in slots 1 and 2 tended to score higher that 3-6. No idea why, really – but it was clear in the comparison of the events. Does time of day really make a difference in tequila tastings? Beginning of the line for blanco category. TA: Did the time of day also make a difference? GS: It was mid afternoon for all of the events. TA: So time of day was pretty consistent? GS: I know that the SOM guys insist that spirits must be evaluated in the morning, but that seems a little odd to me. I think the judge needs to be consistent, but should be able to choose when they drink. I don’t usually drink in the morning. usually. :-). There’s an element of “real life” that isn’t present when you drink Tapatio 110 at 9am. There’s an element of “real life” that isn’t present when you drink Tapatio 110 at 9am. TA: Did the certified catador do better than was expected? Before I go into my pros and cons of rating tequilas using the Tequila Matchmaker app for the Monterey Bay Tequila & Cuisine, let me get a few pet peeves off my chest. In all my time studying, analyzing and observing the Tequila Industry, not once have I ever known any tequila enthusiast, purist, newbie, connoisseur, collector or consumer (let alone brand owner and/or importer) to be happy with the results of any spirits judging competition. Whether it’s the venerable San Francisco World Spirits Competition, the respected Beverage Testing Institute, the famed Spirits of Mexico, or any of the smaller, regional tasting events throughout the country, no one has ever been completely happy or agreed entirely with the outcomes. The older the judging tournaments are, the more importance their annual medal counts are given by an unsuspecting public who only purchase award winning beers, wines and spirits based on their perceived value, instead of trusting its own taste buds. Those long running competitions become more expensive to enter, forcing smaller more deserving brands out and leaving the larger, transnational corporations with deeper portfolios and bigger budgets to duke it out. 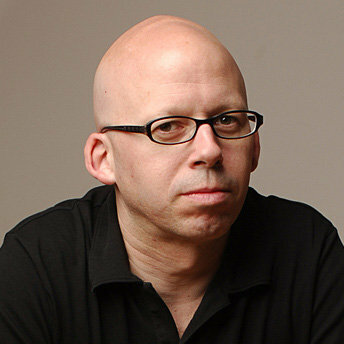 Accusations of alleged backroom negotiations for awards has also been an issue, of late. Paying for the rights to use the competition’s branded medals and seals in addition to the entry fees per spirits expression submitted. Yet, spirits brands in general, and tequila brands in particular, continue to allocate hard-earned marketing dollars toward entering these yearly competitions for the privilege of hanging neck tags from their bottles or affixing stickers onto their labels named for precious metals or gemstones. Everyone has them, and the novelty and mystique have worn off. Collecting spirit competition medals has gone the way of tattoos – everyone has them. At the end of the day, it seems like everyone who participated in the competitions scored some sort of hardware and the rest of us are left shaking our heads in dismay or agreement. Monterey Bay blanco category and glassware. I was once told by a very respected spirits writer that a unified scoring system was good for an event should the organizers decide to hold other branded spirits competitions. 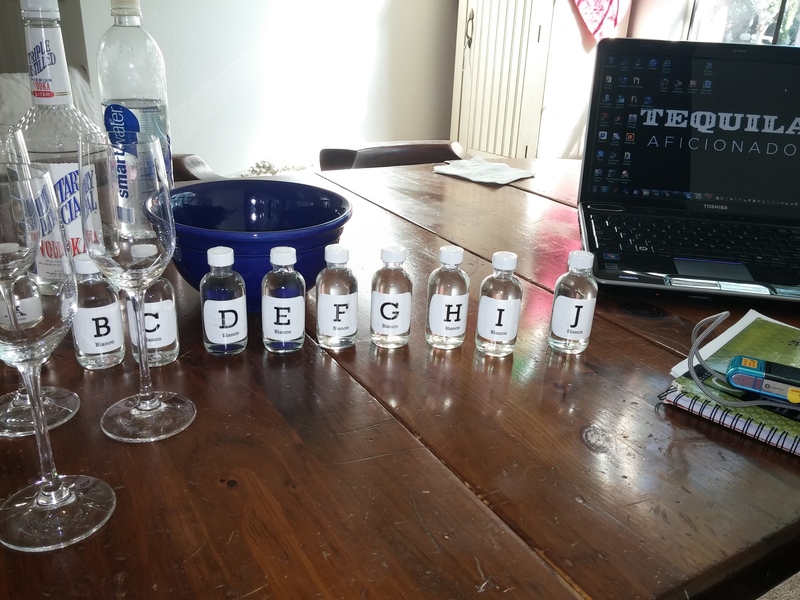 Whoever said that a templated numerical scoring method used to grade different kinds of spirits was appropriate for tequila tastings? Diffusers aside, tequila itself is so unique, it doesn’t compare with the flavor profiles of all other spirits, so why rate them that way? Do spirits competitions need a unified scoring system? Is that even possible? Pro–scoring on the Tequila Matchmaker app is amazingly simple. Con–There’s no numerical rating for the tequilas’ appearance on the Tequila Matchmaker app. Takes the whole sensorial feeling out of tequila tasting. Only your nose and mouth get to have all the fun. Pro–Shipping two ounce samples is neat and cost effective for the organizers of the show. I particularly found that my sealed reposado samples were extremely alcohol-y even after sitting at room temperature for a couple of days. You never know who might stop by to help judge tequila. Grover that it saves on palate fatigue, too. Con–I miss the camaraderie of other expert judges and learning from them. It ups your game like playing one-on-one with LeBron James or batting against Clayton Kershaw. 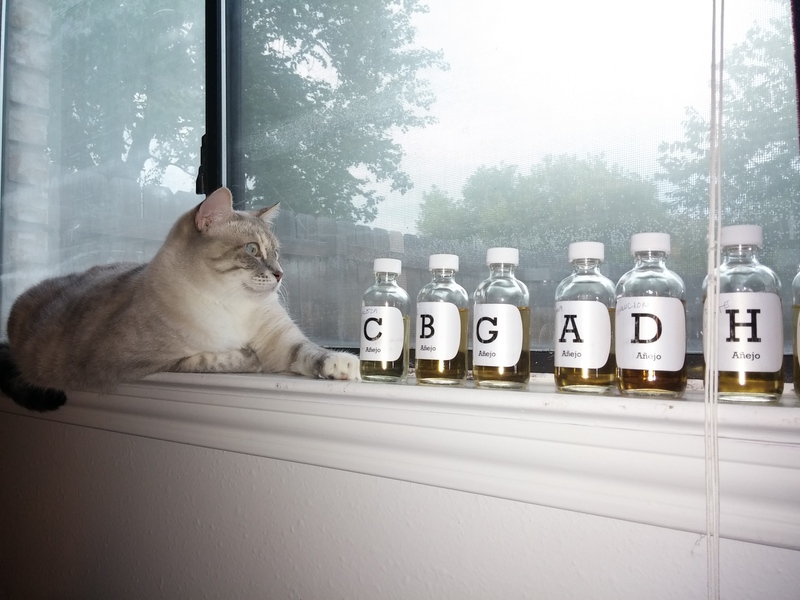 Pro–Depending on my schedule, I chose what time of day to judge my samples. 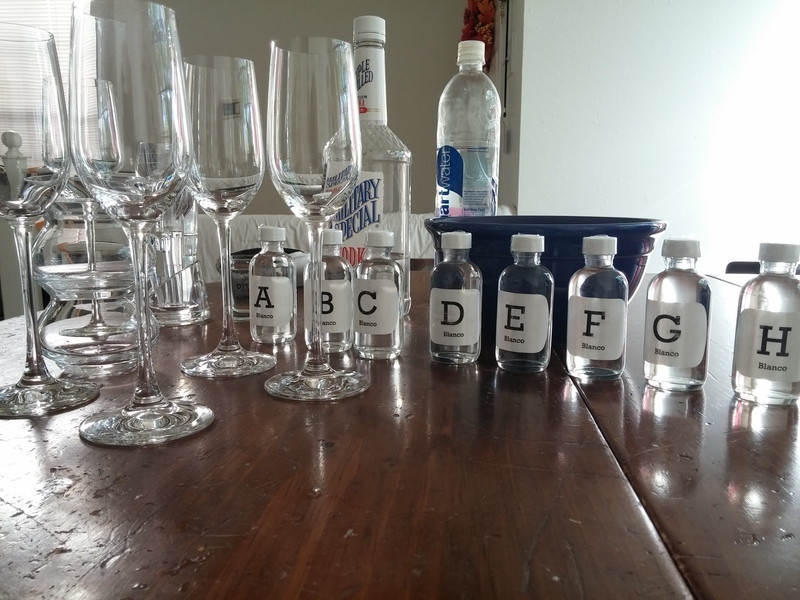 Con–According to the guidelines set forth by the original Mexican Tequila Academy, tastings should begin by 11 AM when a catador’s (tequila taster’s) palate is freshest. [See also their tequila scoring sheet and criteria.] This article here explains where this custom began. Pro–I knew which glassware and other tips and tools to use to make me, as a judge, more effective. Con–The lack of uniformity and protocol among the judges could have affected the final results. Pro–It was exciting to use Tequila Matchmaker’s breakthrough scoring system. Con–I can’t, in all honesty, say that I was pleased with the awarded outcomes or my graded performance. See! What did I tell you? I hate tests. Be Featured in Our Next #Tequilachat!